The number of tourists visiting Helsinki is on the rise. Recent statistics reveal the number of foreign visitors has increased by 45% in the new millennium. Helsinki is the main entry point of most people visiting Finland. It is where most of the sightseers will get to see some of the nation’s finest restaurants, art galleries, museums and shopping. During your stay in Helsinki, you can spend your time exploring the city while enjoying the cultural attractions. 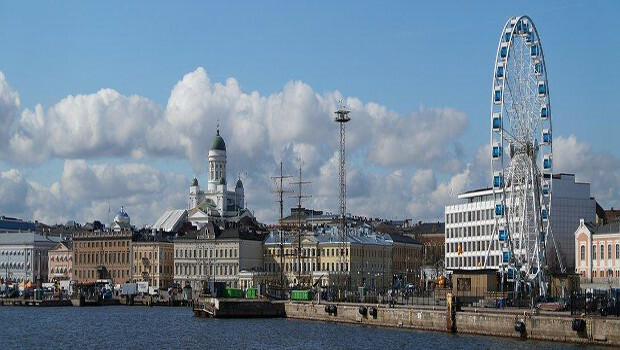 Here are nine main attractions you must see during your tour in Helsinki. Most of the cities around the globe usually have one main construction which dominates the view of the entire city. However, in Helsinki, it is the Cathedral! You are able to see big and white constructions miles ways which gives the city a godly vibe. The Cathedral is an evangelical church where Helsinki bishop seats. This neoclassical building was constructed in the nineteenth century and there are no charges for visiting it. You can get a taxi from Helsinki airport to city where Helsinki Cathedral is located. The Senate Square is located at the bottom of the cathedral stairs. This building is located between buildings with great and beautiful architecture. Not so many activities go on here. Statute of Alexander II is located in the middle of the square. Finland is known of having tight bonds with Russia due to the presence of the statute at the Senate Square and the Oespenski Cathedral. This Russian orthodox Oespenski Cathedral is the biggest in Northern and Western Europe. Oespenski Cathedral was constructed a few decades after Helsinki Cathedral. It is located on top of a hill just like the other cathedral. You can always visit this cathedral too though there are times when it is closed. The harbour is located at the centre of Helsinki. There are boats in the harbour that are operating as restaurants. The Helsinki market square is also located in the harbour. It is a bit desolated during the winter while it is quite busy during the summer. You will get all types of market stalls in the Harbour. You will find an amazing food hall- the Old Market Hall during your tour to the Harbour. You will feel like you have gone back 100 years immediately you enter this market hall. You will come across all sorts of delicacies or take a cup of coffee with your friends. You will always feel like all the churches are the same when you go for a lot of city trips. However, you will know this is not true immediately you see the Temppeliaukio Church. It is more like a bunker which has been carved from a rock. This church is situated in the middle of residential area outside the city centre where you least expect it to be. You will have to part with a few Euros in order to have a walk inside the church. The Helsinki Culinary Institute will provide you with the rare opportunity of learning how to prepare Finnish food. One of the greatest things about Helsinki Culinary Institute is that they allow you to eat everything afterwards! You can never tour Helsinki without visiting a sauna. In fact, the numbers of saunas are more than the entire population in Finland. It’s healthy and relaxing at Löyly sauna and you can jump into the ice cold water of Baltic Sea despite the snow on the ground. You will immediately bump into Ateneum when you exit the Helsinki train station. Ateneum museum is known to have the biggest collection of classical art in Finland. The building is known to stand out due to its classical appearance which dates back to 1887.